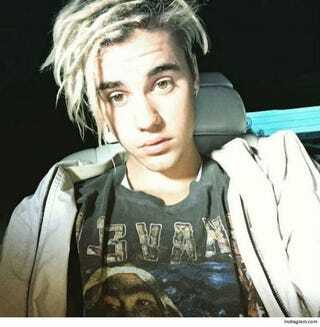 Justin Bieber and his raggedy locks met the ire of Prince fans after the Canadian singer took a jab at the singer shortly after his death. Guitarist Andrew Watt posted a tribute to Prince on Instagram that was thoughtful and truthful. Bieber felt the need to chime in on Watt's post: "Well not the last greatest living performer," he wrote, then deleted, after Prince fans attacked. "I'm content to say that Prince has more talent in his little toe nail than @justinbeiber will ever have," one follower wrote on Instagram. "R.I.P Prince #legend can't believe Bieber disrespected him like this, shame," another Instagrammer wrote. Now, whether or not Bieber was being shady is subjective. But let's just say, I'm glad I had a Prince in my lifetime, and I could go on happily without ever knowing what a Bieber was.